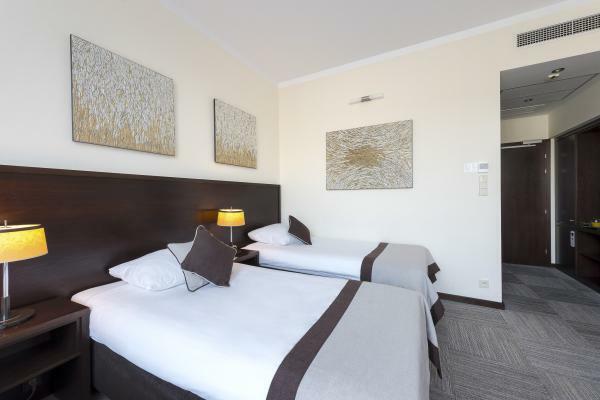 The Europeum hotel, Wroclaw’s premier boutique hotel, is located in the heart of this picturesque city and only a short walk from the lovely Market Square (Rynek) and well-recognised Salt Square (Plac Solny). These two beautiful historic squares play host to the social, cultural and business activities of Wroclaw. 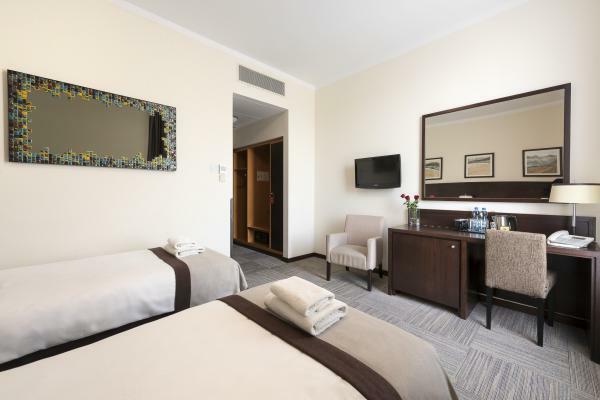 Following recent renovation and refurbishment, Europeum hotel offers 36 luxury and stylish rooms. 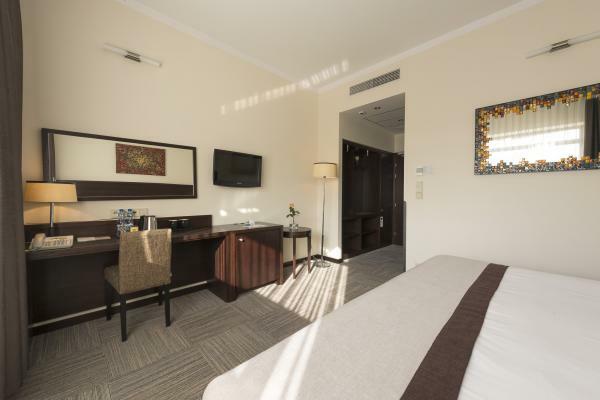 All rooms are equipmented in tea and coffee stes. Our hotel is recognised by its impressive modern architecture and boasts a high standard of amenities such as rooms with floor-to-ceiling (north-side Deluxe rooms) sound-proof windows, views of the old city historic architecture, air conditioning, a modern equipped gym, sauna and monitored underground parking places. 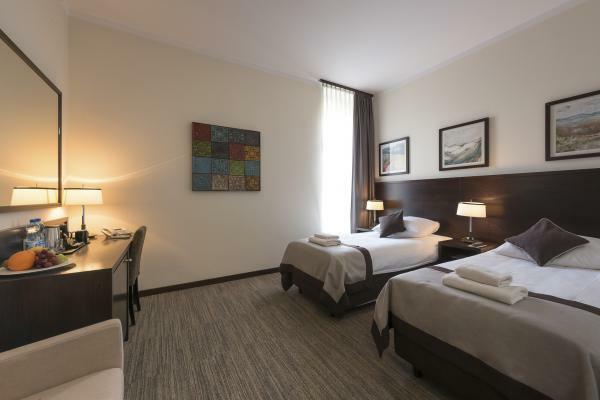 The hotel rooms are fully air-conditioned and ventilated but due to the architectural solutions used in the building, windows in the rooms do not open. 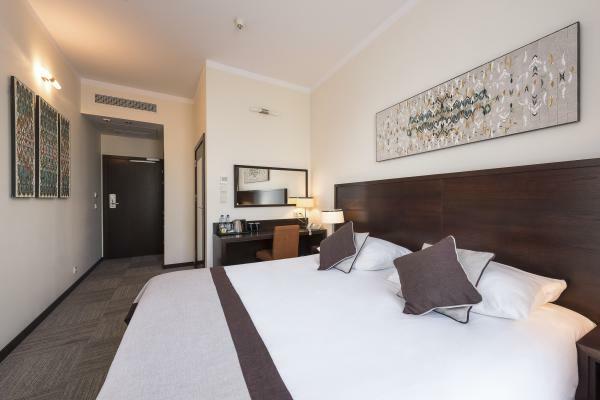 Europeum hotel offers a choice of recently refurbished luxury rooms, featuring custom-made furniture designed with high quality natural fabrics and elegant colours, comfortable king-size and queen-size beds but most of all a welcoming and intimate atmosphere. 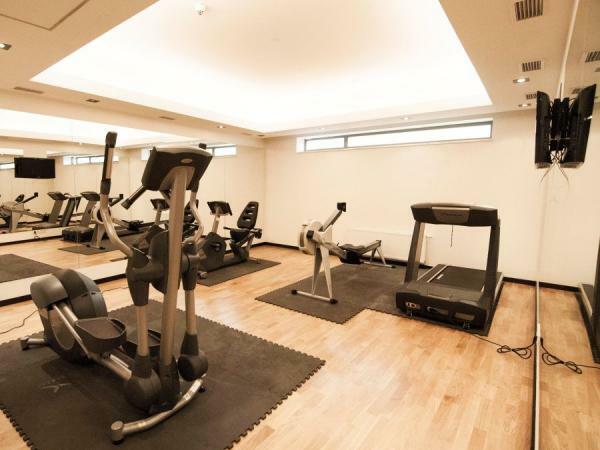 All of the rooms are air-conditioned and have an individual phone line, free of charge broadband internet, 26-inch flat-screen TV, work desk, fridge/minibar and a personal safe. 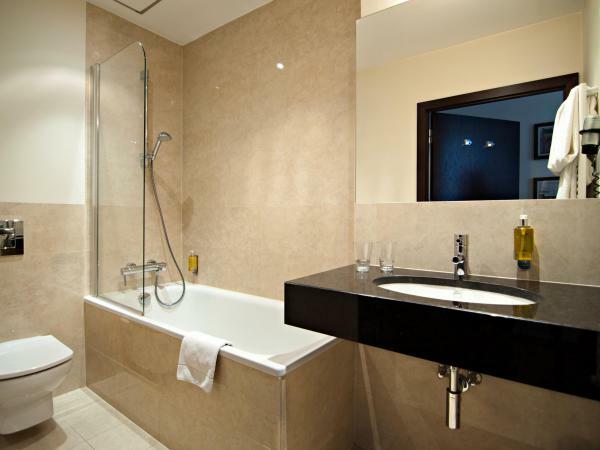 The granite and marble-clad bathrooms feature convenient countertops, spacious walk-in showers with great water pressure or wide comfortable bathtubs and a natural lighting system to create luxurious and modern bathrooms. Located on the ground floor, Brasserie 27 Restaurant is opened for buffet breakfast, lunchtime and evening meals. Our award-winning chef and his team serve exquisite local and international dishes, selection of cocktails, wines, drinks and a traditional Italian espresso. Brasserie 27 is an ideal place to discover healthy and delicious cuisine cooked to perfection and, at your request, served also in the intimacy of your room. Our conference facilities with a total of 8 conference rooms and accommodating up to 380 persons are ideal venues to hold meetings, trainings, conferences, job interviews, banquets. Our guest may also order catering services to compliment any business or social event. Smoking is prohibited in the hotel. Anyone smoking on the area of the hotel will be charged a penatly fee of 300 PLN.